Your financial contributions are an investment in DOOR's life-changing programs. 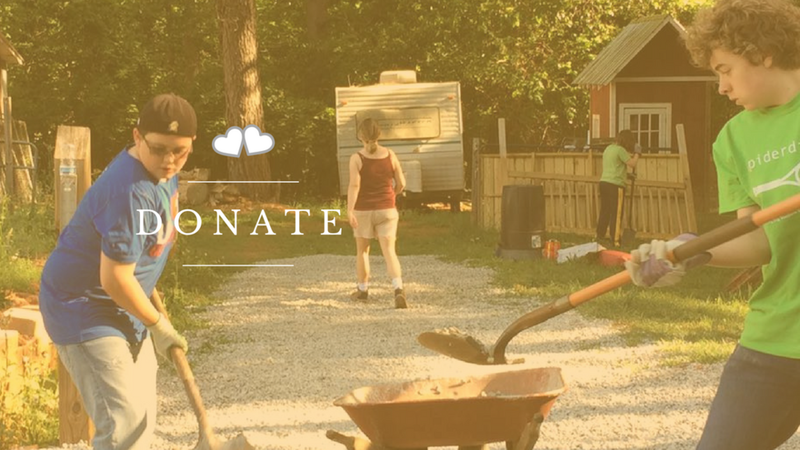 You can donate in support of an individual Dwell or Discern participant or in support of a specific DOOR city. If you would like to designate your donation, please include a note with your check. Other than just being good manners, I believe there are resounding theological implications of “Thank you,” and a spiritual dimension to the discipline of saying it. God continues to call us to forge a future where we can see God, with a greater lens, at work in local communities and around the world. In order to remain strong, and attract participants to our programs, DOOR depends on each of us to meet the growing expenses that such ministry requires. As DOOR lives out its call amidst structural and leadership transitions, may we take time to be thankful for the work we’ve accomplished together, and honor that work by sacrificing even more. This battle is not ours, it is the Lord’s; and had it not been for the Lord on our side we could not do what we’ve done in the past, and we certainly cannot do what we look forward to doing in the future. Thank you! Contributions are solicited with the understanding that DOOR has complete discretion and control over the use of all donated funds. All funds are used for the ministry program as a whole. Donations are tax deductible. Donors will receive a tax receipt for their contributions. DOOR is a 501(c)3 nonprofit organization as designated by the IRS. Financial and other information about Discovering Opportunities for Outreach and Reflection's (DOOR's) purpose, programs, and activities can be obtained by contacting the DOOR National office at 430 W 9th Ave, Denver CO 80204 or 303-295-3667 or for residents of the following states, as stated below. Florida residents: SC No. CH46188. A COPY OF THE OFFICIAL REGISTRATION AND FINANCIAL INFORMATION MAY BE OBTAINED FROM THE DIVISION OF CONSUMER SERVICES BY CALLING TOLL-FREE (800-435-7352) WITHIN THE STATE OR BY VISITING WWW.800HELPFLA.COM. REGISTRATION DOES NOT IMPLY ENDORSEMENT, APPROVAL, OR RECOMMENDATION BY THE STATE.